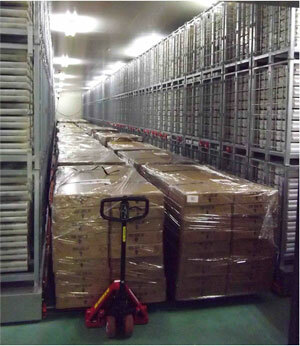 Expedition 346 (Asia Monsoon) cores were received in the KCC on October 16, 2013. The US drillship JOIDES Resolution recovered a record amount of cores (ca. 6.1 km) during this expedition. The cores were cut and split into ca. 10800 sections before packing into 51 pallets. 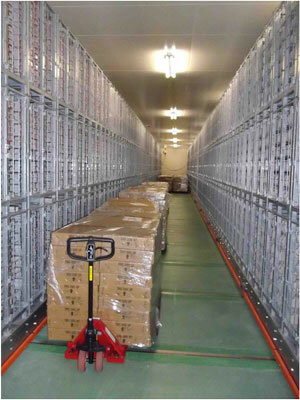 Two thirds of the sections have been racked in the Reefer # 4 and remaining sections will be racked in temporary racks in Reefer # 2. This brings the total amount of the IODP cores being curated in the KCC to ca. 100 km.